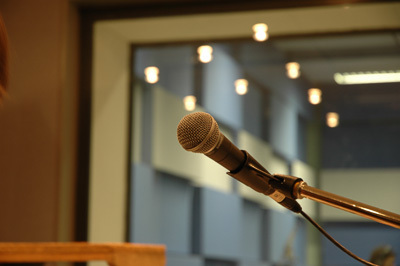 The IoSR is unique in possessing a large range of professional quality microphones for use by the Tonmeister students. The extensive range covers all the major brands from classic valve microphones to the latest designs. 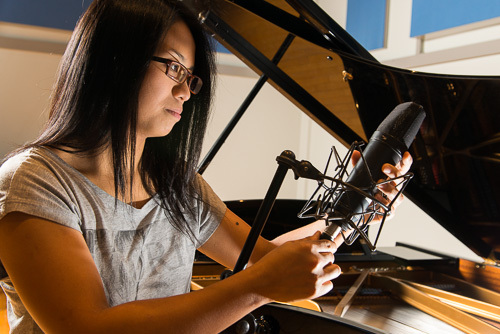 As the choice of microphone is vital in recording, the IoSR prides itself on possessing a range of microphones which enables the students to attain the highest possible professional standards. The microphone collection contains rare and valuable examples, including 3 of the c. 2000 original AKG C12 valve microphones, classic ribbon microphones such as ST&C 4038s, through flexible and often-used microphones such as AKG C414s, to high quality currently-available microphones such as DPA 4011s and Schoeps CMC6Us.